Whatever shape you are, there are certain dresses that will suit you more than others. We look at the different wedding dress styles that match different body types. There are lots of different reasons and factors to which wedding dress is perfect for you ranging from the price of the gown through to the shape and style of dress you decide to go for. 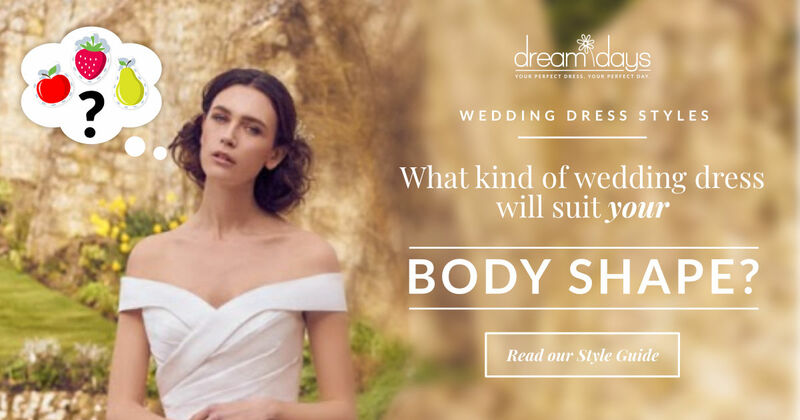 To help you along your journey to finding your dream wedding dress we’ve put together our wedding dress style guide to what we feel is the perfect guide for all shapes and sizes. You have to remember that size is just a number on a label so please don’t get disheartened if you don’t end up buying the same size wedding dress as the size clothes you buy from thee high street. We tend to find that ladies go up at least one if not two sizes with then needing modifications to make it fit perfectly. If you have any questions regarding your shape or experiences so far then please let us know below in the comments. I'll always reply to you. First off, you need to understand your body shape! Have a look at the image below and see which you feel best suits you. Brides who are bigger busted may feel like it’s more difficult to find a dress that’s got the true support they need and want. Here's some pointers for you to help you see it is definitely possible. ‍Try to stay away from low cut and strapless wedding dresses. These dresses will have the least amount of support and will leave you probably feeling the most uncomfortable throughout the day. We’ve seen numerous photos of ladies that need to keep pulling up the front of their dress and that’s the last thing you want to worry about on your big day. Anything with a strap is instantly going to give you support. High necklines mean you won’t need to worry about a bra being on show if you feel more comfortable wearing one. Having a high neckline doesn’t necessarily mean you have to be completely covered, illusion necklines are a great way to give the support you need but keeping that feminine and sophisticated look. Having a style that nips in under the bust will flatter a women with a fuller bust. Dresses with Illusion neckline, Fishtail or dropped waist. If you have a smaller bust and fuller hips you'll tend to find it easier to find a wide range of styles to suit your body shape, however making sure the detail is balanced out on the dress as you won’t want to be drawn away from the top half of the body. ‍Steer clear of the fitted fishtail shapes, this will only draw attention to the fuller hips. Sweetheart necklines tend to be a no go as proportionally they don’t seem to flatter a smaller bust. ‍Styles with intricate detail on the upper body are much easier to pull off if you have a smaller bust. You're one of the few that can pull off the backless dress after all the back is just as important as the front! Slinky and slender designs are great at flattering the pear shape figure and the more bust detail the better. ‍Backless, Deep v neck or dresses with Intricate back detail. Curves, Curves, Curves! Brides with an hourglass figure have shoulders and hips that are perfectly balanced with a small waist. There are a lot of styles that will suit. Waist details e.g. belts and sashes are great for an hourglass shape as they really emphasise that curvaceous silhouette. ‍Plunging necklines will make you look all bust. We know you have a great asset there however that’s not the only part you want to show off. Empire line dresses and ball gown style skirts tend to be less flattering than other styles out there. ‍Sweetheart necklines will accentuate your full bust in an understated but elegant way. Styles with sashes and belts will really nip in that already tiny waist enhancing your curves. You can even flaunt this shape with a fishtail mermaid style. ‍A-Line, Mermaid, Dropped Waist or Strapless dresses are a good start. 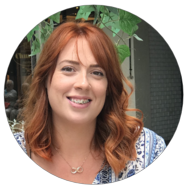 Sometimes known as the oval body shape, if you have a fuller bust leading down to slimmer narrow hips and a fuller mid-section which tends to be a tad wider than the bust and hips. ‍Try to keep the definition away from the midsection avoid any embellishments and ruching as this can be less flattering. High necklines will swamp your body shape and give no silhouette to the rest of your body. ‍Going for a style that is straight with a slight flare to the skirt will nip you in at the waist and keep you feeling feminine. Look for a dress with a lower neckline, maybe with a strap if you have a fuller bust. Sticking with plenty of embellishment to the upper body you will draw the eye away from your mid-section. ‍Straight/Slim, V Neckline, Slight A-Line dresses will be a good place to start. If you have a rectangular silhouette you may tend to have a less defined waist than others. The bust and hips are still pretty balanced but not so curvy through the waist, also known as athletic/sporty. It’s also really important to opt for a dress that will enhance the waistline and show off your figure to its best. ‍You probably won’t want to go for a short tea length dress as this will not flatter your slender athletic figure. Strapless dresses can make you look like you have broader shoulders than you actually have. Column and straight styles won’t do anything for your shape as you want to define your waist and not hide it. ‍Wedding dresses with full skirts will give the illusion that your hips are fuller than they are. Wearing an underskirt underneath the dress will push the skirt out even more and add a feminine and sophisticated shape to you. Dresses with embellishment around the bust and neckline will draw to eye to the top half of your body and away from that sporty shape. ‍Ball gown, Embellished neckline and Fishtail styles will give some great shapes. Get trying some dresses on! Now you have an idea of what styles are going to suit your body shape and size pick the phone up and make some appointments. You will only know what you feel comfortable in if you start to try on styles. It’s never too early to start looking! Keep in mind that a lot of dresses don’t look anything like when they're on the hanger, you have to try them on and see yourself in them and make your own mind up. Go with an open mind and let the shop assistants help you, they do this day in and day out and see all shapes and sizes and they will know their stock and styles and can help lead you in the right direction. How has your shopping experience been so far? Let us know in the comments below.